Lisbon, 1755: A distinguished-looking gentleman emerges from the bowels of a ship freshly arrived from London, and sets into the city with a singular purpose. This is Sebastian Foxx, born SebastiAo Raposa, and his parents were abducted by the Inquisition when Sebastian was just 13 years old. While inquiring into some threatening notes sent to a Church of England priest, Benjamin Weaver is arrested for the murder of a dockworker. After his conviction, engineered by a crooked judge who has blatantly instructed the jury to disregard the truth, Weaver escapes from prison, intent upon proving his innocence. Ethan Saunders, once among General Washington's most valued spies, now lives in disgrace, haunting the taverns of Philadelphia. 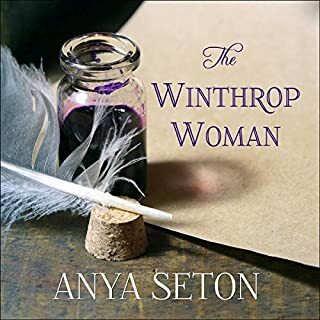 An accusation of treason has long since cost him his reputation and his beloved fiancée, Cynthia Pearson, but at his most desperate moment he is recruited for an unlikely task: finding Cynthia's missing husband. To help her, Saunders must serve his old enemy, Treasury Secretary Alexander Hamilton, who is engaged in a bitter power struggle with political rival Thomas Jefferson over the creation of the fragile young nation's first real financial institution: the Bank of the United States. Meanwhile, Joan Maycott is a young woman married to another Revolutionary War veteran. With the new states unable to support their ex-soldiers, the Maycotts make a desperate gamble: trade the chance of future payment for the hope of a better life on the western Pennsylvania frontier. There, amid hardship and deprivation, they find unlikely friendship and a chance for prosperity with a new method of distilling whiskey. But on an isolated frontier, whiskey is more than a drink; it is currency and power, and the Maycotts' success attracts the brutal attention of men in Hamilton's orbit, men who threaten to destroy all Joan holds dear. As their causes intertwine, Joan and Saunders - both patriots in their own way - find themselves on opposing sides of a daring scheme that will forever change their lives and their new country.The Whiskey Rebels is a superb rendering of a perilous age and a nation nearly torn apart - and David Liss's most powerful novel yet. ©2008 David Liss (P)2008 Brilliance Audio, Inc. I've bought way too many books at Audible through the years. Some were unreadable. Some nearly so. A good many we're entertaining, or educational, or thought provoking. Every once in a while though I've lucked out. Not just a good book. A great book. And not just a good narrator. But the perfect narrator for this tale. This is historical fiction at its best. Before I read this book I was vaguely aware of the Whiskey Rebellion. I knew it was tied to the first US banking system. Knew Alexander Hamilton played a roll and assumed if Hamilton was involved Burr was probably close by. Reading this novel gave me enough facts, names and dates that I was easily able to find out far more about this important moment in history with relatively little work. But the best attribute of this book wasn't its foundation of real events and real people. It was the master story telling. Liss weaves an incredibly intriguing and entertaining yarn. The main character was an erudite wastrel who was drummed out of Washington's army on fabricated espionage accusations. He looses everything that gives his life meaning, becomes a drunk and an embarrassment, is so desperate to keep the one friend he has, his slave, he avoids admitting he'd freed him, in order to keep him close by. He tries to seduce the wife of the only other person who befriends him and under his friends roof. But he has a wonderful sense of humor, is clearly brilliant and an amazing escape artist. Most amazing though is the process of redemption the author leads him through in the course of the book. You have to love this guy. The other narrator, a woman is brilliant as well. Attractive, cunning and a master manipulator - a role often left to men in novels, which is shame because she shows how entertaining it can be to watch a woman fool so many smart men as she pulls all the strings and choreographs every step everyone takes while they are oblivious to her total control. She is not redeemed. But she takes such joy in her love of revenge and devising the most complicated plans to achieving that revenge that redemption would be anticlimactic and somewhat disappointing. The secondary characters were all well defined, all colorful and all helped move the plot along. turn of the plot I stopped worrying about what I didn't understand. Since I could never guess what would happen next, understanding the technical details was of little use. The narrator was great. Not someone I was families with. But his was the perfect voice for this book. I will seek out other books he narrates. The Whiskey Rebels covers what the history books doesn't . . . I had never heard of the whiskey rebellion . . . my husband had, but barely. 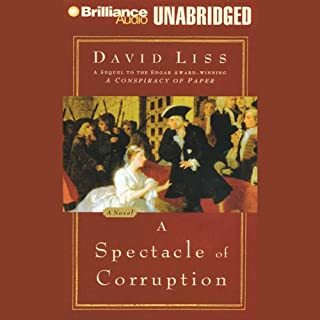 This period of time, just after the revolutionary war, when our nation was making laws and establishing the institutions that would become the financial systems of America, are covered in good detail in this audio book. To my astonishment, the United States, though it had broken ties with England to become a free nation in 1776, did not look so very different in the beginning, and for several years afterward, with a continuing battle between it's original founders over how much control the federal government would have over the people. Corruption in government was an issued almost from the start (should we be surprised? ), greed and desire for personal gain by politicians was the major motivation for running for office, and secrets ran rampant among the elite society folks of the day. The historical accounts of Alexander Hamilton, Aaron Burr, and the other founding fathers are excellent. The story, which is fictional, is also excellent. I love historical fiction, and this one is top notch. I really liked this book. I thought the narrator was excellent. He really conveyed personality for each of the characters. 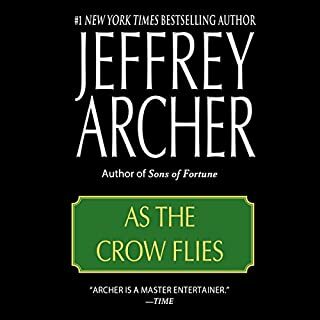 The story was interesting, and I would recommend this audiobook. 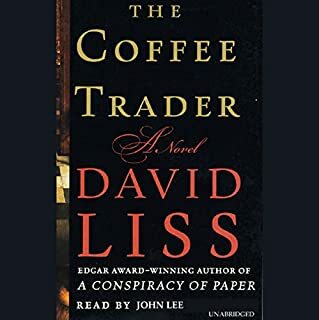 I think it is better than "The Coffee Trader" by the same author. I bought this on a whim and I am glad I did. Good characters. I enjoyed ol' Captain Ethan Saunders. His comments on his own faults and views on women were humorous. He is truly a scoundrel, but oh so lovable. I realize this is a mix of fact and fiction but it makes me want to look into the era a little deeper to understand the facts of the day. This is a part of history I had never really thought about, but now want to know more. This is what I like in a book, to be enthralled, wish it never ends and want more when it is done. Good writing, good narration. 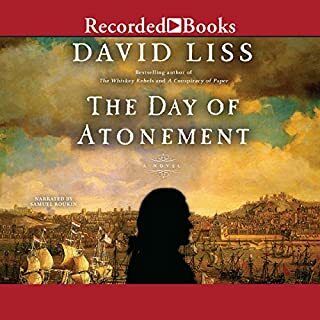 I have listened to many David Liss novels and this is one of his best. 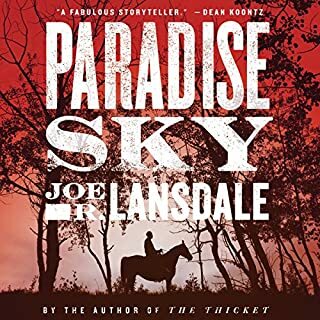 Well developed charachters, historical insight, and finely crafted plot made this one I sat in the driveway and listened to because I wasn't ready to stop. Christopher Lane did an excellent job with the narration. I always enjoy a book more when each character has his/her own distinct manner of speaking. I highly reccomend this book and this author. I loved this book. It is complex and intriguing and read by a fabulous reader. David Liss always interweaves historical characters and these were fascinating. I recommend this book without reservation. 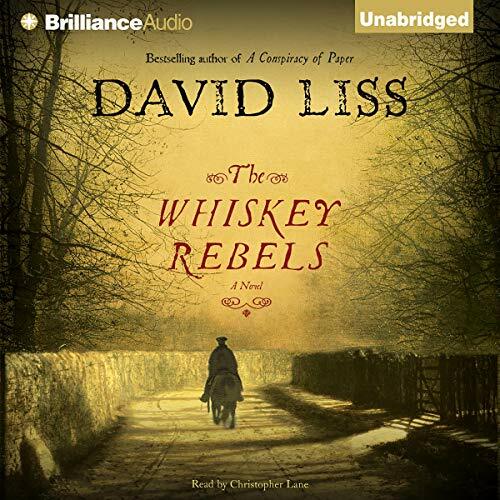 Intermittently enjoyable and frequently frustrating, "The Whiskey Rebels" tells fictional history through two characters - Captain Ethan Saunders, a disgraced but witty scoundrel, and Joan Maycott, a pioneer wife, authoress, feisty rebel, and the desire of every man she meets. Most of the energy comes from Saunders - a truly great character, down but not out, as naughty as he is hilarious. Unfortunately, he has to share space with the implausible and self-righteous Mrs. Maycott. Real historical figures fall flat (strangely, Alexander Hamilton is the only character who speaks with contractions like "don't" and "can't"). The heavy-handed villains are not merely possessed with vices like greed and avarice: they must also be rapists, wife-beaters, child abusers, slave molesters, sexual perverts, adulterers, and cold-blooded murderers. The excellent narrator, Christopher Lane, imbues the story with more life and energy than it musters on its own. He alone kept me listening when I was well prepared to give up on the sluggish plot. This is a long book with many characters and events to keep track of. As many other reviewers have noted, there are distinct story lines, separated by time and circumstance, that only come together late in the book. If you are not prepared to really listen to the story you will quickly become lost. None of the players are particularly likeable or admirable, although several do strive and suffer for what they believe in. I did not like the narrator as well as other reviewers. I may be too harsh on him, however, as his interpretation of a few of the frontier men literally sent shivers up my spine. I do appreciate that his women's voices are not the shrill, whiny voices that too many male narrators affect. This book has a really solid history aspect (covering an overlooked period between victory against the British and the construction of institutions and customs that brought the US together as a single entity) that I truly appreciate. All in all, I may have like this better as a book to read rather than to listen to, although it would still be exceedingly long for the story it tells.